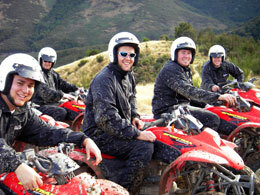 Want to stage a team building session, or perhaps a staff incentive event? 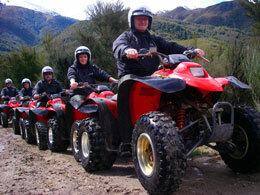 Want the thrills of quad biking or game hunting, or a leisurely trek through our amazing South Island scenery on horseback? Come to Hanmer Springs and we’ll provide you with an individually tailored programme, drawing from all the adventure activities available in our region. We can provide you with adventure, leisure and relaxation, and our friendly staff will make sure that your visit is fun-filled and memorable. Please contact us with your needs and we’ll put together an exciting programme for you, designed to fit your budget. Guided Fishing and Hunting Tours.